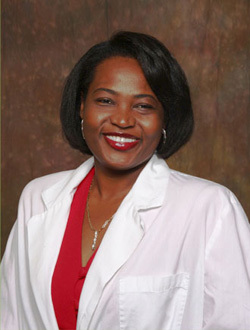 Dr. Carine Chery will carefully monitor the healing of sore muscles and tender ligaments and ensure that the patients are healing. Dr. Chery will help find the cause of the problem as opposed to masking the pain with medication. Chery Chiropractic Center has helped many car accident victims avoid invasive and risky surgeries, overuse of pain pills and years of residual discomfort from injuries that healed poorly. Using safe, quick and painless chiropractic adjustments coupled with physiotherapy, exercises, and active release technique, patients can rest assured that soft tissue injuries like whiplash will heal properly, enabling them to live pain-free and move past the physical and emotional trauma of the accident as quickly as possible. We accept all auto accident insurance plans! We will file the necessary insurance paperwork on your behalf. We will work with your attorney. We will submit the required medical reports to your insurance company to protect your rights. We will provide referrals and work with other physician specialists including neurologists, neurosurgeons, orthopedists, radiologists and family physicians. Call us today if you have had a car accident at (239) 936-6566 or fill out the form below if you have any questions. Let us help you! care to Fort Myers, Lehigh Acres and Cape Coral residents.